theitalianculturalcenter - ES17 Preview: the new Minneapolis Sculpture Garden at the Walker! ES17 Preview: the new Minneapolis Sculpture Garden at the Walker! 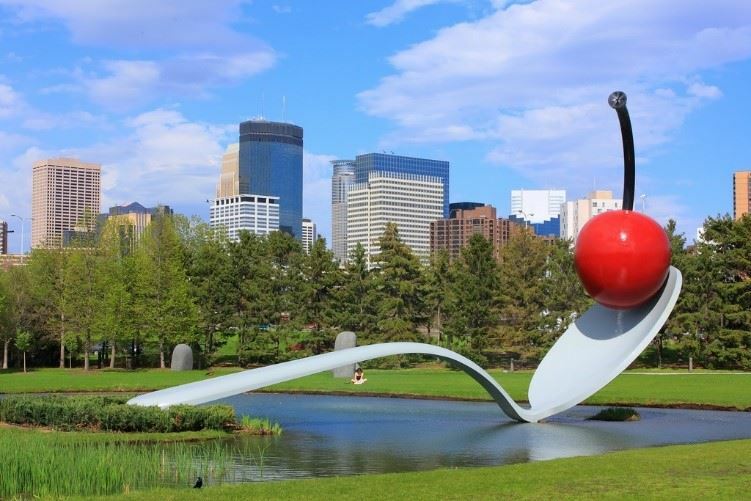 Preview: the new Minneapolis Sculpture Garden at the Walker! The Walker Art Center's Minneapolis Sculpture Garden (MSG) has been greatly expanded and conceptually re-designed. It will officially open to the public June 3, 2017. Originally opened in 1988 and expanded in 1992, the garden is now integrated with Walker Art Center’s indoors to form the new 19-acre campus. Presented by Lorella Angelini, this “sneak-peak” virtual tour will acquaint participants with sculptures, plantings, and new commissions in both the upper and lower sections of the MSG. The presentation will highlight popular MSG sculptures in new locations, infrastructure enhancements, and public art commissions by local, national, and international artists. There is a new emphasis on artists underrepresented in public art collections. 11 women artists are featured in the redesigned garden space. Visitors will find this space kinder to the environment, pedestrian friendly, and accessible to people pushing walkers and strollers, and using wheelchairs. The presentation is scheduled for Thursday, May 18th, 6:30 – 7:30 p.m. at the Italian Cultural Center. The presentation is in English. This is a free event, but please register to help us plan for it. Drinks and light appetizers will be served. Donations are welcome. Lorella is a native of the Marche region of central Italy. She holds a graduate degree in Civil Engineering from Marche Polytechnic University. She moved to Minneapolis in 1999 and has been collaborating with the Walker as a tour guide for more than 10 years.